I put together this template only after investing the time to decide on replacements for my own TV and monitor. However, it might prove useful to someone else. The focus is on the sizes of the various devices and does not include any discussion of any other issue. 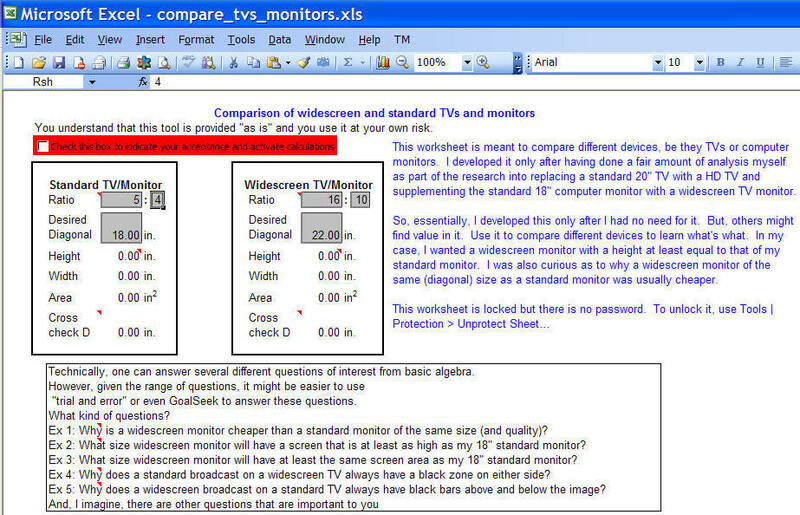 In addition, this can also be used to understand why one cannot fill the entire screen of a standard TV with a widescreen broadcast and vice-versa. Download the file. Hopefully, usage is self-explanatory.